If you have a pet, you’re no stranger to hair stuck in corners and carpets. You’ve probably even seen how it transfers from carpet to car to office. Well, we’ve got a solution for every pet owner, no matter what your cleaning needs are. We have tracked over 40 vacuums for pet hair over a period of last 12 months. This Shark Rotator TruePet is advertised as a 2 in 1 product, but considering all it’s functionality, it goes way beyond that. 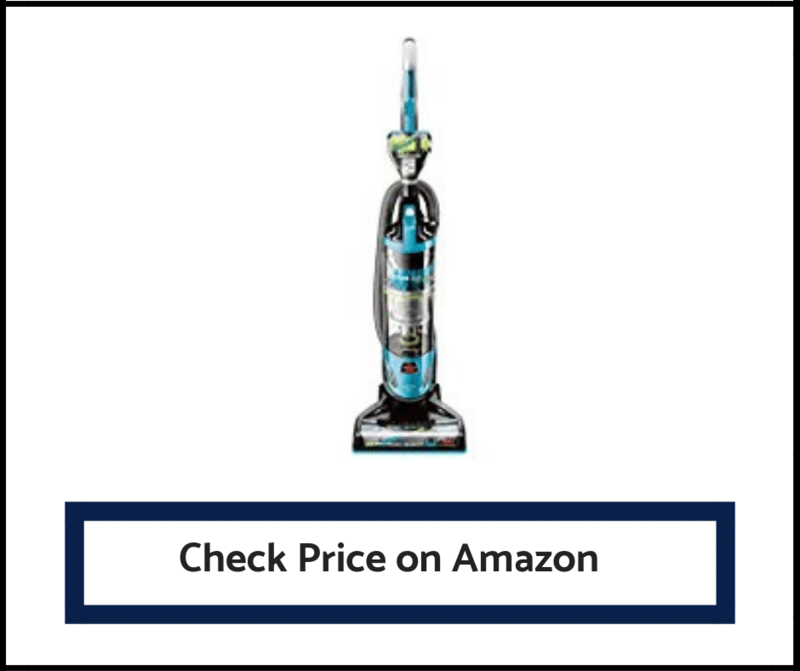 It comes with the Shark Hard Floor Hero attachment, so you can ditch your old dust mop. For any pet owner that’s watched their hard floor go from reflecting morning light to highlighting dander and hair, it’s a lifesaver. With the TruePet’s swivel action, it’s easy to get around, under and behind furniture as well as tough to reach spots. And every pet owner knows those tough spots are where pet hair loves to hide. That is why if you want to be sure you’re getting it all up, the TruePet has LED lights so you can see this one clean up all the hair. TruePet has already been awarded for its supreme performance. Not only that, it comes with an anti-allergen complete seal. When you need to get pet hair up and out, there’s an accessory for everything you need to clean. It’s got a pet multi tool, crevice duster and so much more. For pet owners that love a clean home but hate the back strain it comes with, TruePet has you covered. It’s Shark Rotator’s lightest one yet and it has easy hand button control. With its full-service functionality and easy use, this is a top tier one for pet owners. The TruePet includes everything you want and even some things you didn’t know you needed. When you’ve got pets with long hair, you know what a pain it is to have to stop mid vacuum and untangle the brush. If that is the situation you’re currently facing, the Bissell 1650A has the solution. It’s got a tangle free brush roll to solve your problems. Plus, you can empty it out totally hands free. It’s got three specialty tools to make cleaning pet hair uber easy. The Bissell 1650A allows cleaning on a variety of surface levels as well – from tile to deep pile carpet. The other really cool thing about the Bissell 1650A is that it was made with you in mind. It was created by pet lovers, for pet lovers. It has a 30-foot cord and a 10-foot extension hose for maximum movement. Not only does it include the extra tools, it comes with LED-lit crevice tools for a comprehensive clean. At 18 lbs, it’s not extremely lightweight, but it’s anything but bulky. Besides, allergy sufferers don’t have to worry, as it has SmartSeal allergy containment technology. Plus, it comes with a limited 5-year warranty, so you can be confident in your investment. The Bissell Pet Hair Eraser is a sturdy investment in every sense. It has pet owners covered with tools, LED lighting and allergen and odor containment. When you’ve got multiple pets especially, you need a high capacity product. The Shark Navigator Deluxe guarantees gathering power: it has a dust cup capacity of three dry quarts. If you’re not familiar with capacity of typical one, that’s an impressive amount. It’s designed for easy maneuvering, and contains a couple crevice tools to get all that embedded hair out. And because all pet owners know hair doesn’t just stick to the floors, it’s got an extra-long hose (12 feet!) and extension tool. And it solves the problem of reach that plagues typical ones, with its 25 ft power cord. While it doesn’t come with swivel technology, it still offers dynamic maneuvering. At 15 lbs Shark Navigator Deluxe still a lighter one, and offers long use without interruption. The Shark Navigator Deluxe has an anti-allergy seal to keep all that dander contained, and it never loses suction. Long-time users praise the Navigator Deluxe’s durability, with it continuing to work like new after years. With all the essentials and a price tag that won’t empty your wallet, it’s an easy choice. All in all, it’s a good pick for the pet owner that needs simple efficiency. The Bissell PowerGlide gives pet owners the SmartSeal Allergen System to keep particles and allergens contained. You can use it on hard surfaces too, thanks to the on/off brush options. It’s even got special ultra soft bristles for hard floors to gently sweep in debris. For anybody that’s ever scratched their hardwood trying to vacuum it, these bristles are a lifesaver. It uses Suction Channel Technology to gather up even more pet hair and maximize suction end to end. Seriously, the power behind this Bissell PowerGlide will shock you when you realize what your old one left behind. 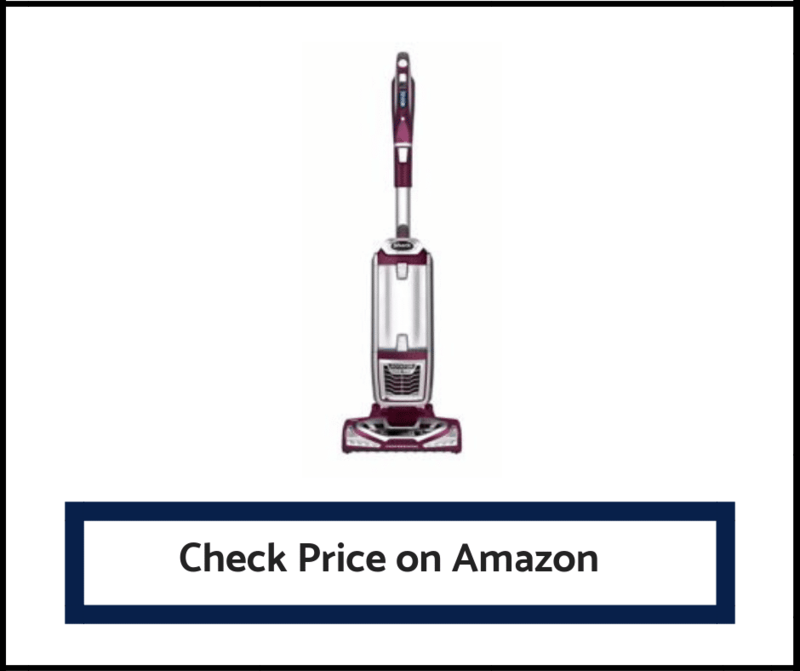 The PowerGlide is equipped with swivel technology to make your cleaning easier. Included is the Pet TurboEraser tool, which customers seem to love as much as any other part of this one. So it’s easy to clean the hardest parts of your home. Both PowerGlide and the TurboEraser feature tangle free technology for efficient use. At just over 17 lbs it’s a little heavier, but not by much. And once you use it, you’ll see the power those couple extra pounds pack in. The PowerGlide comes with a 5-year limited warranty and a reasonable price tag too. The PowerGlide is equipped with the extras pet owners love, like the Pet TurboEraser and special Febreze anti-odor filter. It comes at a fair price, and gives a quality clean. 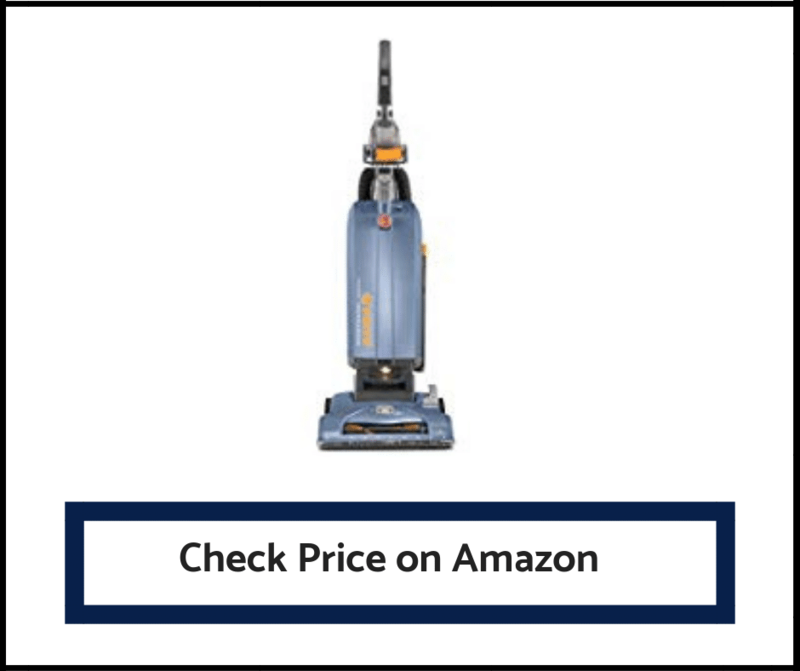 Are you looking for vacuums for Hardwood Floors? Click here. The Pet Hair Eraser is a standalone handheld one. But it’s not like the less functional handheld vacs you’ve used before. Not only is it bagless, it contains multi-level filtration. It has a full 16’ of power cord plus an easy grip handle. For all you looking for a long reaching or portable hand vac, those features are for you. It also includes a cord wrap system to make it easy to move and store. It packs a lot of power for its menial 5 lb weight. Which means pet owners can easily clean up even heavy gritty messes in a snap. While it only has one setting for surface height, it comes with two nozzle options to fit your cleaning needs. They’re specifically designed to make getting pet messes picked up convenient. And by messes, I don’t mean just pet hair. It gets it all up, even kitty litter. If you’ve been noticing all the pet hair in your car, you’re in luck. The hard nozzle also works well for car clean up. 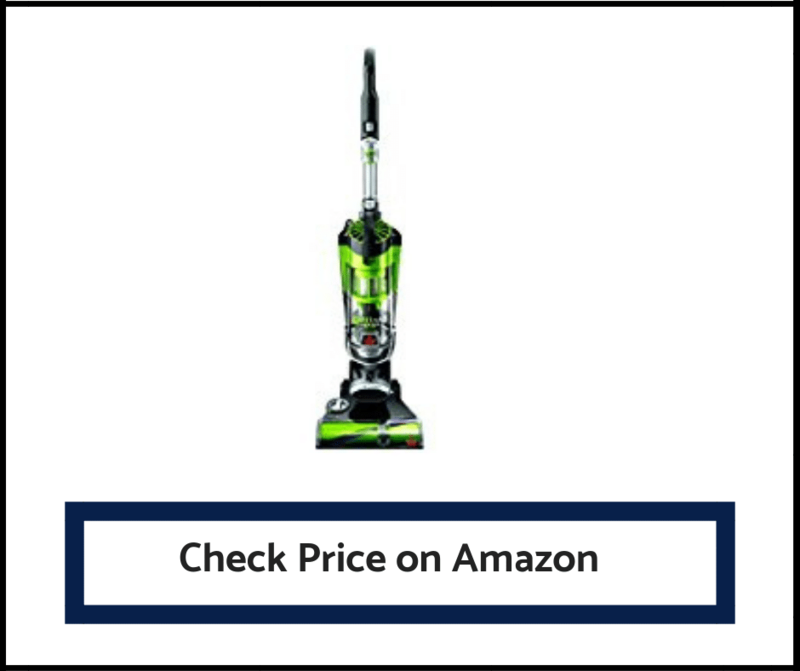 The Bissell HandHeld is definitely affordable one and comes with a 1 year warranty. For pet owners that want a quick and easy in between clean, this is for you. Affordable, portable, and all-around dynamic, it’s a good value. The Dirt Devil Razor features the Spin4Pro pet brush roll optimized for picking up pet hair. It has no suction loss technology and a three-stage filtration system. The Razor Pet really excels when you’re looking at strong, simple utility but it also includes a few tools. You get the 10 ft cleaning wand, 2 in 1 crevice tool, and it comes with the Pet Claw attachment. You’ll be able to eliminate pet hair high and low when using the tools in tandem. Plus, it has a 10 ft extension hose to make it easy to reach tough spots (like you cat’s favorite perch). And for pet owners getting sick of moving furniture to clean, it has swivel movement technology. The Dirt Devil Razor Pet has odor trapping technology to keep any pet odors contained. It offers the basics you need to get pet hair out of your carpet and from gathering around your home. Stairs, the bane of pet owners, are easier than ever. Because it’s ultra lightweight at just under 11 lbs, it’s uniquely maneuverable. While it doesn’t offer a specific warranty, product protection plans can be purchased at little cost through sellers. It’s definitely one of the most affordable one for pet owners and it gets the job done. The Razor Pet has the essentials covered and offers easy movement and reach. While it doesn’t come with a surplus of extras, it’s affordable and efficient. The Hoover WindTunnel offers pet lovers a lot of options for covering pet mess. First, it has 5 levels to choose surface height settings from. So no matter where your pet’s hair is gathering, you get it up efficiently. It comes with a pet upholstery tool and an air powered Pet Hand Tool, to make piling up pet hair a non-issue. It also includes a crevice tool and 12 inch extension wand. It’s pretty much made for ease of use with its folding handle and cord rewind. Yes, cord rewind, and once you use it, you’re spoiled. So no more tangled cords and time consuming winding. And it’s easy to store without taking up much space. Here’s the bonus feature that busy pet owners love: scuff free bumpers. For everybody that still cringes looking at the wall scuff from rush vacuuming, you’re welcome. While it’s a little heavier at just over 18 lbs, it’s still made for functional and easy clean up. Plus those pounds are going to good use providing powerful suction. It doesn’t have swivel movement, but makes up for it with other convenient features.It’s bagless and easy to clean the dust cup and change filters. It also has no suction loss, so you don’t have to worry about going back over the same areas. The Hoover T-Series WindTunnel Pet Rewind is a solid purchase for any pet owner. Especially for those with varying carpet levels and a need for convenience, it’s a great product. If you want to infuse a little futuristic tech to your housekeeping, here it is. This is a robotic, which means a big bonus for pet owners that hate getting up to clean. And it’s as easy to use as switching channels on your tv. It can be controlled either by remote or set to automatic cleaning mode. Plus, it automatically docks and recharges itself. It weighs only about 4.5 lbs, although weight is hardly a consideration as there’s no work for the user. All you have to do is empty it out and let it go about its duties. 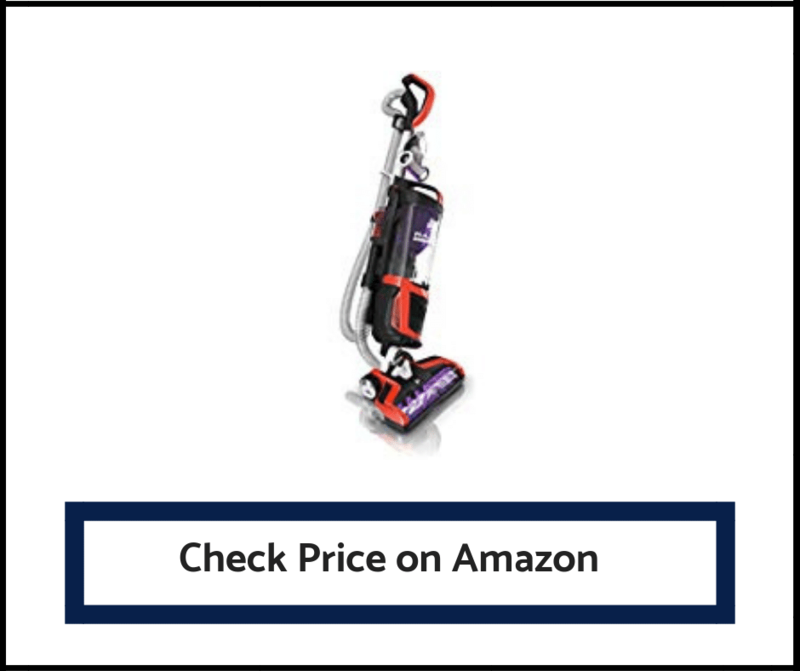 It’s specifically designed to clean pet hair from low pile carpets and hard floors. It easily moves under furniture are hard to reach places. Not only that, it has an edge cleaning mode to pick up pet hair where it gathers most. The ILIFE V3s Pro itself includes the rechargeable lithium ion battery required, but you’ll need to get some AAA batteries for the remote. However, it does function without the remote on auto cleaning mode. It’s been designed especially for low surfaces, so while high pile carpet isn’t its forte, it can function. 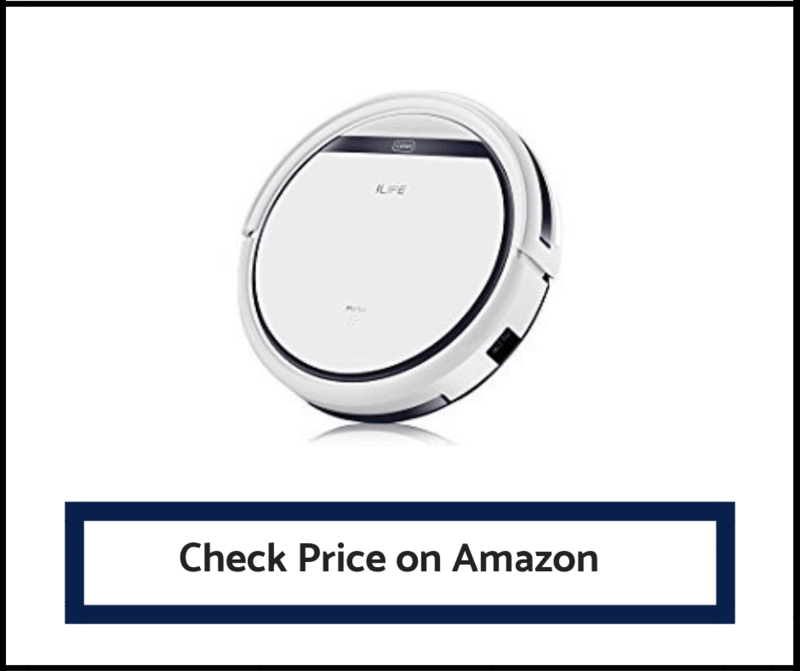 The ILIFE V3s Pro is well suited to automation and even allows you to set cleaning schedules for extra convenience. It automation even extends to its own safety. It contains sensors to navigate its environment and prevent it from falling off ledges. This little cleaner is a good match for busy pet owners and people that want to make cleaning a passive task. While it isn’t for every situation, it keeps pet hair cleaned up and offers a sleek modern design. The Eureka FloorRover is a powerhouse for taking out pet hair. It’s made for easy movement with big wheel functionality and swivel technology for for smooth operation. Most people that use this have been gladly shocked that it delivers so much suction without so much noise. From quiet operation to performance directed tools, it’s all about what pet owners actually need. It comes with 3 accessory tools: a pet turbo brush, 2 in 1 upholstery tool, and a super long 16 inch crevice tool. These, combined with the extensive 30 foot cord mean easy and accessible cleaning. The FloorRover has a HEPA filter to ensure that allergens and dander stay contained. Plus, it has a specially designed ergonomic handle for comfortable use. With features designed to fit pet owners, it offers long cleaning times without having to move plugins and empty the dust cup.It contains a large 1.6L dust cup to gather as much as you can fit into a clean. Its got innovative washable filters that mean you save time and money without having to replace them. And the FloorRover has bagless technology for even easier maintenance, plus it reduces household waste. People wanting to fit some easy eco-minded appliances in their home: meet the FloorRover. It includes a 5 year warranty too, so you know this one will last. The Eureka FloorRover is priced mid range, but delivers high end functionality. For pet owners that have a lot to clean and little time to maintain, this product definitely satisfies. When pet shed has you feeling like hiring a team to keep up with it, you need something with power. Meet the ultimate power tool of pet vacs: The Black + Decker HLVA325JP07. 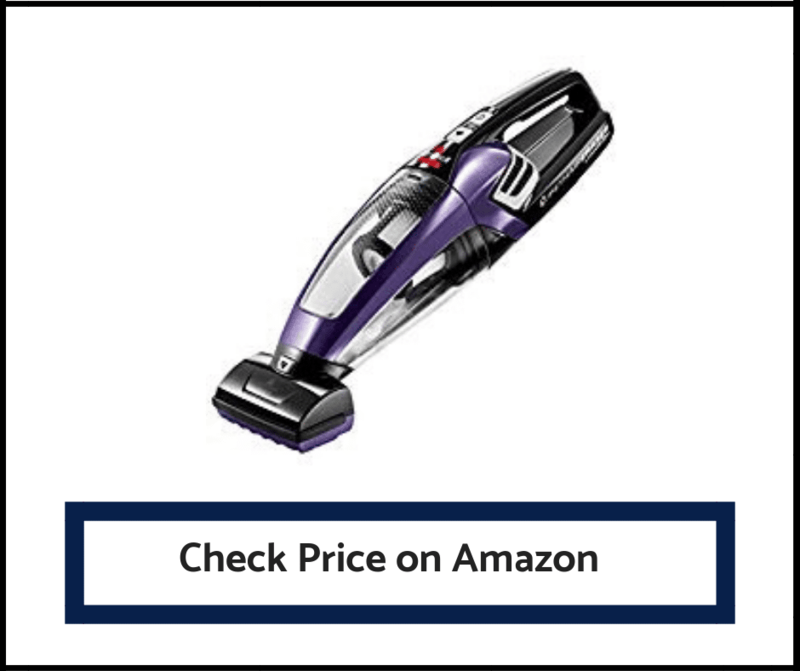 And because we all know our pets leave a mess everywhere, it offers entirely cordless lithium ion technology. 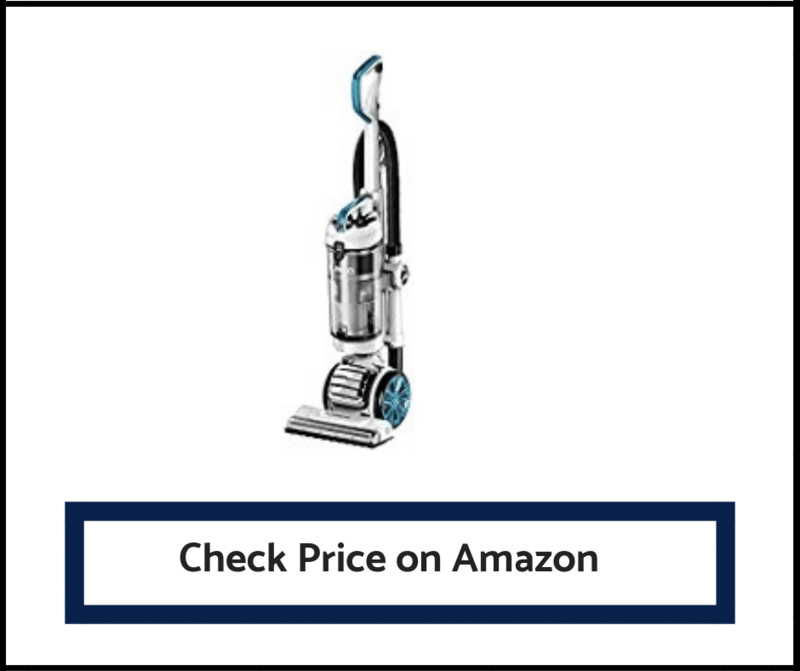 You can choose among the Best Cordless vacuums here. It has an easy wall mount for optimizing your storage and access. If you’ve got a ‘cleaning closet’ where you hide your upright vacuum, you’ll love the sleek charging mount. Most users say they’ve never had it run out of battery, and it’s fully charged at every pickup. And it comes with a bonus: this hand vac comes with 3 tools to make cleaning even better. It has the extendible crevice tool, push in brush, and motorized pet head. The pet head tool is designed with rubber tines to gather up pet hair without leaving any behind. Once you use the pet head tool, you’ll wonder how you did without it. It’s hands down the lightest of these , at a under 3 lbs. But don’t let the weight fool you, this product delivers continuous power and a long run time. The Black + Decker HLVA325JP07 gives maximum suction with lightweight ease of use. It uses washable filters, to save you money and store trips. 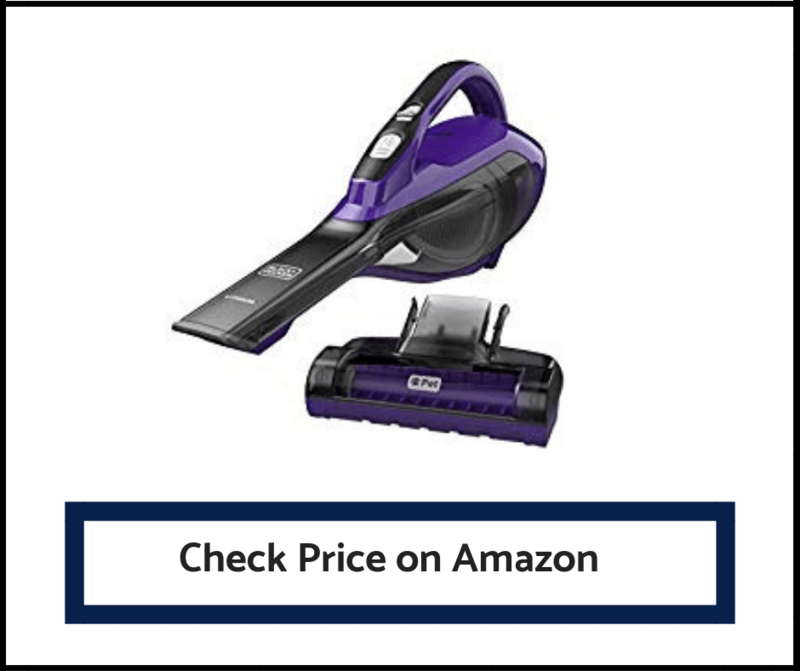 All around, it’s designed with the strength of a power tool, and easy, comfortable use that makes cleaning less a chore. For pet owners that want an easy spot clean in between full vacuuming, this hand vac provides it. It’s an inexpensive investment for pet owners and comes with a 2-year warranty. This product gives pet owners ultimate ease of use with maximum function. The long run time and added tools mean you’ll get the whole mess up the first time. The Shark Rotator TruePet gets the top pick for all its dynamic functions and all-around value for pet owners. It’s a prime choice for pet owners that want allergens contained, especially since it’s been awarded with the Anti Allergen Complete Seal. From LED lighting to fingertip controls, it’s comfortable to use and offers incredible accessibility. The TruePet is lightweight and comes with all the tools you could think to need. If you have pets, you probably have a family member or friend that’s allergic. Models with HEPA filters are a big win for pet owners and people with allergies, whether seasonal or pet related. Many of them are on our list include HEPA filters and allergen seals. It can easily be one of the most important factors for people. 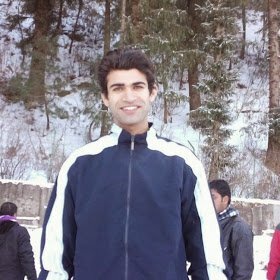 Many people generally buy them with multiple surface levels and so many have those features. Some of them offer only one or two settings though but may specialize on those levels. If your house is entirely hard flooring, this could be a bonus. However, keep an eye on the future if a move is possible. You want the best one for your use, but you want the best-continued use too. They often come with one or more tools to help clean pet hair more thoroughly. It’s good to consider the areas you end up cleaning the most. Many come with special pet hair clean up extensions, upholstery brushes, or crevice tools. If you have a lot of dark d to access spaces, consider a tool with LED lighting so you can see what you’re cleaning. Watch out our effective home cleaning guide 2019 here. With new technology, these can be confusing to sort out. Many vacuums employ brand specific suction technology to increase their cleaning power. Since there isn’t an official rating system for suction power, there are other things you can look at to help you decide. If you want to know how much power is actually being used by them to suction up debris, take a look at the AW (air watts) level. As you may infer, the higher the AW number, the higher power it’s using to gather up dirt and hair. I Only Have Hardwood Floors, Do I Really Need Multilevel Surface Settings? Not necessarily. It’s a good thing to have in case you move or have high pile rugs, but you should use the best functions for your home. A lot of them come with tools for furniture and non-floor cleaning, which increases usability. What is HEPA and Do I Need It? HEPA stands for High-Efficiency Particulate Air. It’s a type of filter that offers superior particle containment. It isn’t strictly necessary for non-allergy sufferers though. However, it does offer an all-around higher quality clean. Is Allergen Control and Odor Control the Same Thing? While they aren’t the exact same thing, they often employ similar technology. In addition to that, most of them that offer allergen seals or allergy control offer odor control too. HEPA filters are primarily for containing dust, dander and allergens. Because of the high strength seal and containment, they often offer a measure of odor control. Is Using a Hand Vac to Clean Up Just as Good as a Full-Size Vacuum? In small areas, the answer is typically yes. Many handheld models for pet hair are cordless, meaning that you will wear out the charge if you try to use it for your whole house. And while they’re efficient and easy to use, you’d have to empty it out frequently to clean a very large area. You can continue to love your pets and forget about the messy shed they leave for you. We’ve sorted through the best vacuums for pet hair and brought you their features and specs to help you choose. No matter how much your pet sheds, or how difficult the surfaces you have to reach are, your battle with pet hair can end now. From our top choice for all-around quality and function to the super convenient ones, the variety is there. 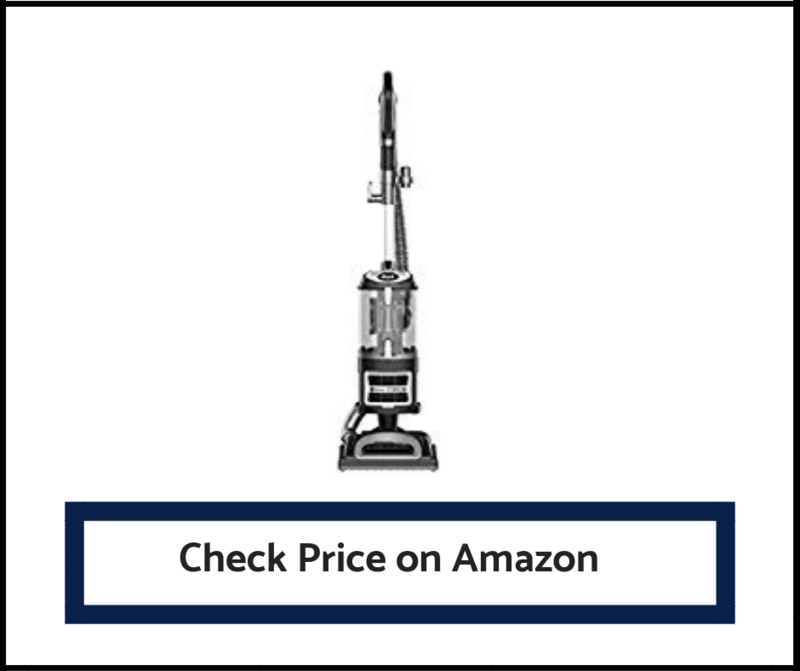 From standard and efficient models to modern automated ones, your perfect vacuum is here. We’ve included models with HEPA filters, innovative suction technology, easy maneuvering and most of all, value.